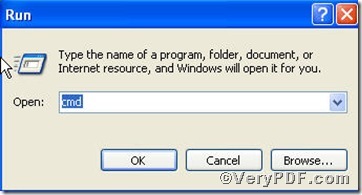 ← How to convert mht to text file? If you go through some pages of your pdf files, you would like to set the page view mode to make them more comfortable to view or make them look more distinct as your preferences. To the effect, you might have document outline (such as bookmarks) visible or neither document outline nor thumbnail images visible and have full-screen mode, with no menu bar, window controls, or any other window visible as well. Based on this, you would itch to try, the following part will give you a detailed procedure on how to set pdf page view mode via Advanced PDF Tools command line. pdftools -i "C:\input.pdf" -o "C:\output.pdf" -b "option"
pdftools -i "C:\input.pdf" -o "C:\output.pdf" -b "UseNone"
pdftools -i "C:\input.pdf" -o "C:\output.pdf" -b "UseOutlines"
pdftools -i "C:\input.pdf" -o "C:\output.pdf" -b "UseThumbs"
pdftools -i "C:\input.pdf" -o "C:\output.pdf" -b "FullScreen"
pdftools -i "C:\input.pdf" -o "C:\output.pdf" -b "UseOC"
More than one value can be set separated by comma or blank, e.g. 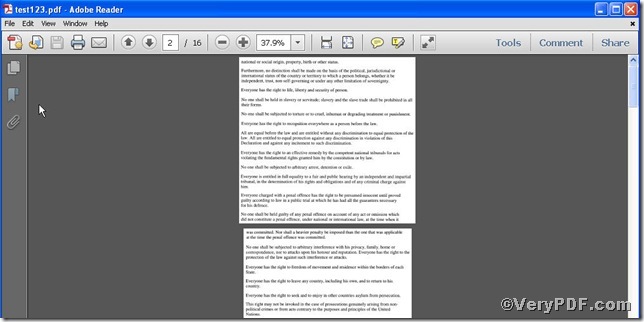 pdftools -i "C:\input.pdf" -o "C:\output.pdf" -b "FullScreen UseOutlines"
pdftools -b "FullScreen UseOutlines" -i "C:\input.pdf" -o "C:\output.pdf"
You could clear see the newly opened test123.pdf without outline and thumbnail, which proves this function works quite well. If you are interested, you can type others command lines to set your pdf file page view mode via Advanced PDF Tools. 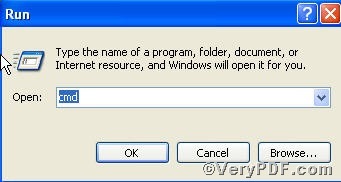 Can you detect secured PDF without opening it? How to convert documents of HTML to JNG? How to remove pdf crop box using command line? This entry was posted in Advanced PDF Tools. Bookmark the permalink.